Online only: See more photos of this Osterville home! Boston-based Wilson Kelsey Design creates a fresh, relaxed second home for an active family in Osterville. The key to understanding the journey this renovation experienced lies in understanding who Sally Wilson and John Kelsey are. Principals of this Boston-based design firm, this husband-wife team have enjoyed the accolades and opportunities afforded to the top echelon of interior design entities in New England. Wilson, who specializes in the softer side of design while accommodating families, and Kelsey, who utilizes his superior spatial and planning skills to manipulate the interior architecture of the space, leveraging a lengthy background with historic homes, make up a team that thoughtfully transforms unique spaces for their clients. 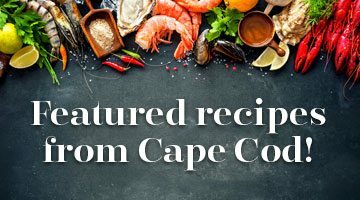 To translate the McCarthy project just right, Wilson and Kelsey embarked on a road trip to the Cape, seeking out open houses, boutiques and local home accessory shops on several main streets of the quintessential villages of Chatham, Orleans and Provincetown. They ‘checked-in’ to the McCarthy home for a few nights with little to no furniture and got the feel of how the home would live, then they started making lists and forged ahead with sourcing every last element that would bring their vision to life. A budget for a secondary residence is often more constrained than that for a primary home, so custom pieces were rarely used here, but Wilson maximized her investigative skills in search of unique elements while still achieving a customized, high-end look. She oversaw every element within the house, from furniture to rugs, bedding, pillows and artwork. The challenge also included a very tight timeline, five months, in order to make sure the McCarthys could enjoy their home for the upcoming summer.